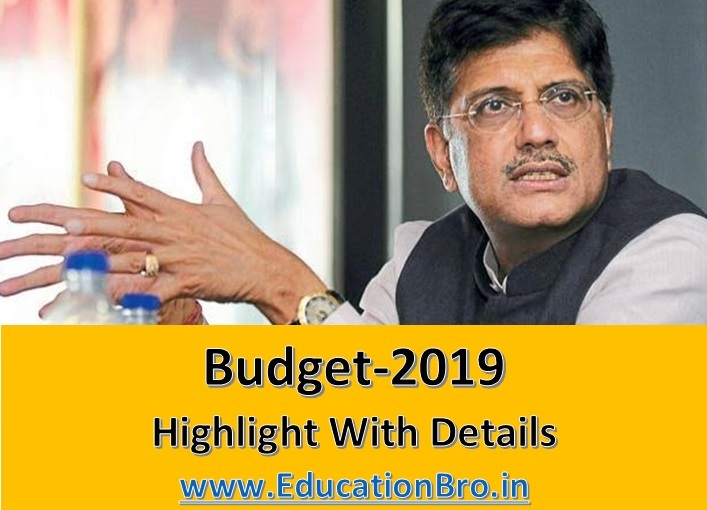 Interim Union Budget 2019-20 was presented in Parliament today by the Union Minister for Finance, Corporate Affairs, Railways & Coal, Shri Piyush Goyal. New Scheme- namely “Pradhan Mantri KIsan SAmman Nidhi (PM-KISAN)” to extend direct income support at the rate of Rs. 6,000 per year to farmer families, having cultivable land up-to 2 hectares is announced. Government is launching a historic programme PM-KISAN with an outlay of Rs.75,000 crore for the FY 2019-20 and Rs.20,000 crore in the Revised Estimates of FY 2018-19. Outlay for Rashtriya Gokul mission increased to Rs 750 crore. New separate Department of Fisheries for welfare of 1.5 crore fishermen. Interest subvention of 2% during disaster will now be provided for the entire period of reschedulement of loan. Pradhan Mantri Shram Yogi Maandhan scheme to ensure fixed monthly pension to 10 crore unorganized sector workers. Rs 3000 per month after 60 years of age with an affordable contribution of only Rs 100/55 per month. 14 of the 21 AIIMS operating or being established in the country presently have been announced since 2014. Government also announced setting up of a new - the 22nd AIIMS in Haryana. Rs. 60, 000 crore allocation for MGNREGA in BE 2019-20. TDS threshold for deduction of tax on rent to be increased from Rs. 1,80,000 to Rs. 2,40,000. 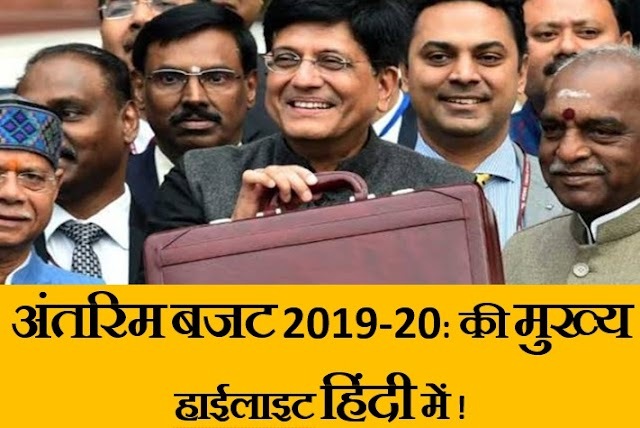 Tax benefits for affordable housing extended till 31st March, 2020 under Section 80- IBA of Income Tax Act. Tax exemption period on notional rent, on unsold inventories, extended from one year to two years. A total outlay of Rs. 27,84,200 crore. Out of this Rs. 3,18,931.22 crore has been earmarked for Defence (excluding Defence Pension). For Defence Pension, an amount of Rs. 1,12,079.57 crore has been provided in BE 2019-20. Total Defence Allocation, including Defence Pension, accounts for 15.48% of the total Central Government expenditure for the year 2019-20. In the Interim Budget 2019-20, the Railways has been allocated Rs.64,587 crore. The Railways’ overall capital expenditure programme is of Rs.1,58,658 crore.